We are delighted to announce details for the 2018/19 MSOSC Membership scheme! However, first we must say an enormous “Thank You” to all fans who became inaugural members of the 2017/18 Membership scheme launched last July at the Summer BBQ. We hope you have thoroughly enjoyed the past 12 months and have enjoyed the savings membership provides on travel, events and merchandise. For clarification, current membership will expire at the end of June 2018 so the Q&A session scheduled for the 15th June will still be part of your current membership. As advised at the inception of the MSOSC, all profits made from Memberships, Events, Travel etc have been reinvested back into the Manchester Storm IHC. This has allowed us to help the club in ways to make life easier for them and help give them that little bit extra competitive edge we all enjoyed last season. WHY BECOME A 2018/19 MEMBER? This season we aim to further assist Coach Ryan Finnerty in providing any additional equipment, transport, accommodations and or other items to be identified to ensure players are well rested and have the right environment around them. Of course, none of this would be possible without YOU!! Your membership goes a long way in supporting both the on ice and off-ice product. 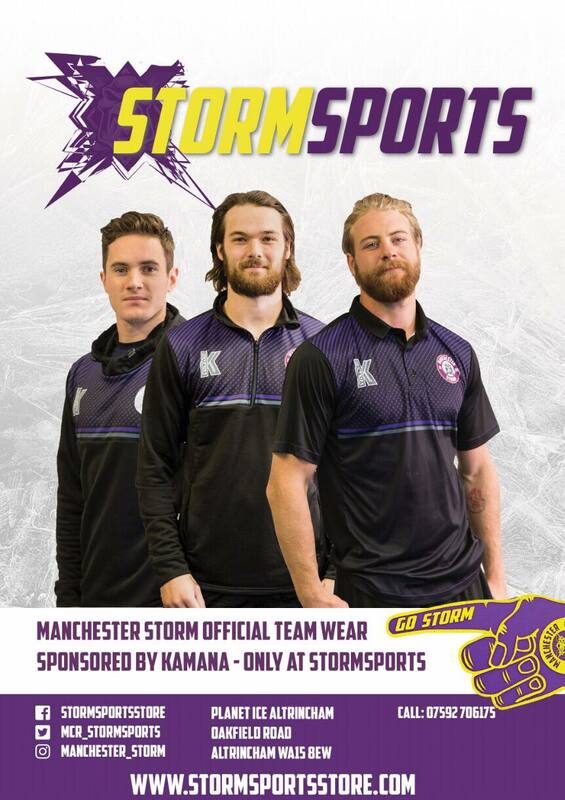 So please consider becoming an OSC Member and supporting YOUR Manchester Storm! The tariffs for 2018/19 seasonal membership can be found below. Whilst we acknowledge a need for a small increase from last season’s prices our commitment to you is that this price will now be frozen for season 2019/20. PLEASE NOTE: All renewals will need to provide a valid.2017/18 Membership Number to cross-match their applications. PLEASE NOTE: Students will be required to provide proof of status by providing their student ID card or a suitable form of student identification. Automatic entry into our monthly competitions and prize draws including the chance to drop the puck, present the man of the match and or player of the month trophies on the ice. Email [email protected] for an application form and full payment details now. The 2018/19 membership will run from 1st July 2018 through to the 30th June 2019.